We have a whole lot of great home tours for you today. The White Buffalo Styling Company has arranged a full week of home tours from interior design bloggers around the web. If you are coming from Kristin's Bliss at Home, welcome!! She is one of my favorites, plus her living room is spectacular. I'm going to give you a little tour of my home today and then lead you on to the next tour. As everyone starts preparing for Fall it will be fun to see how everyone is changing things up for the colder days ahead. I actually leave my home pretty much the same no matter what time of year we are in. And it's still so hot here in Texas that I don't start getting into Fall mode until the end of October. Let's start my home tour, shall we?! This is my family room which made it's debut on The One Room Challenge here. I love the pinks in this space. The Mongolian Lamb Stools are always a big hit since they were an Ikea Hack DIY. The pink painting is by Jenny Andrews. I just love her work. The peony prints are from The Vault Files Shop and the two large black and white prints are from Minted and the marbleized one is from here. 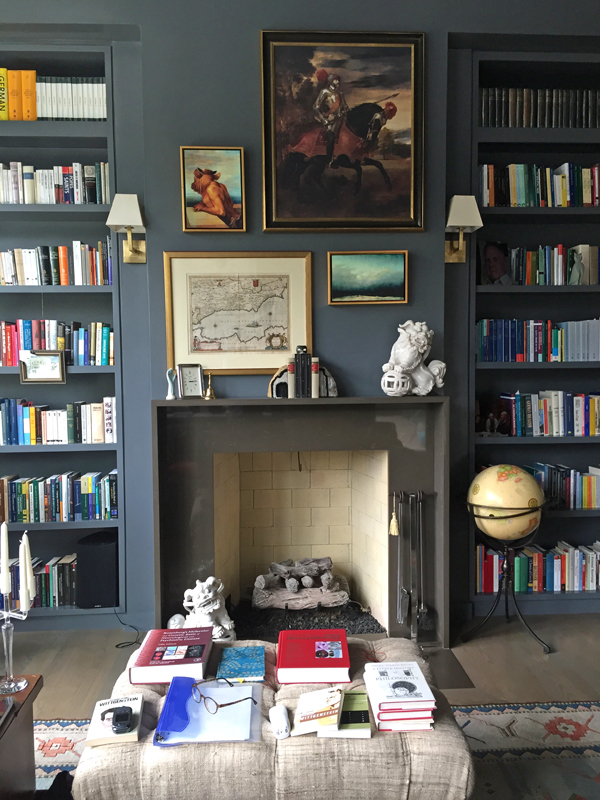 A peek into our library....books galore....This is the coziest room of the house and where my husband spends most of his time working. When you enter the house via the garage this is the little foyer you arrive into. I did this one during the One Room Challenge as a Linking Participant. See all the photos of the project here. The fabulous upholstered table is from LivenUp designs. It's an Etsy store you need to file as a favorite. They do amazing work. I'm still quite #obsessed with my Fornasetti plates. I want a few more to finish off that set. If you open us the door from the photo above....you go into this bathroom here. 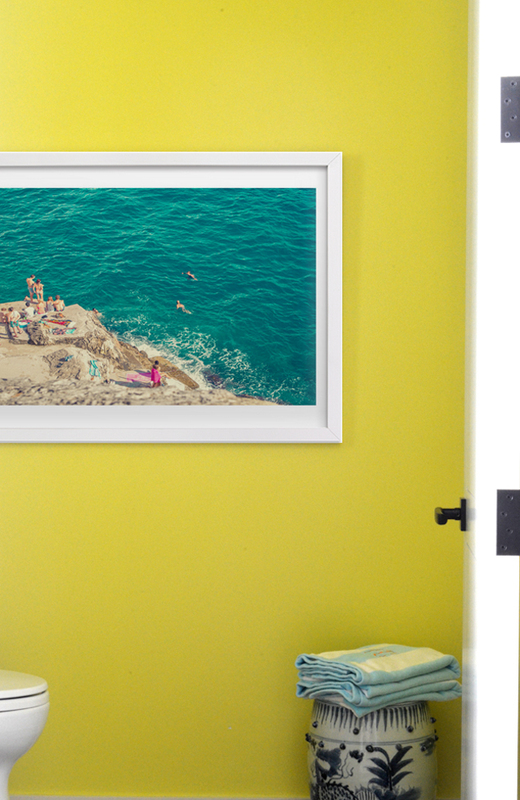 I just love the contrast of the print on this SW Funky Yellow wall. This makes for a fun pool bathroom. 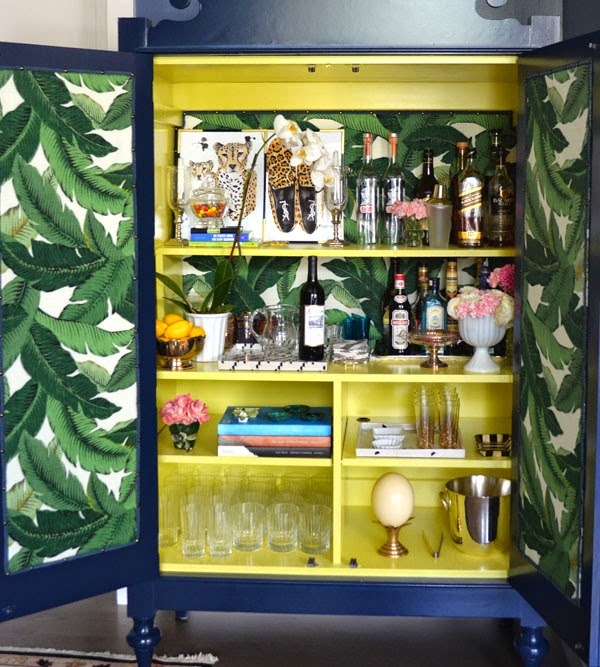 Here is my Bar'Moire (armoire turned into a bar) I DIYed which stands in the living room. Read all about it here. And now that we know each other better....let me show you my closet....which I designed during the One Room Challenge here. The beautiful painting is by Reagan Geschardt which I got thru the Pink Pagoda's shop. She always has great originals from very talented artists. Well, I hope you enjoyed these shots of my home! 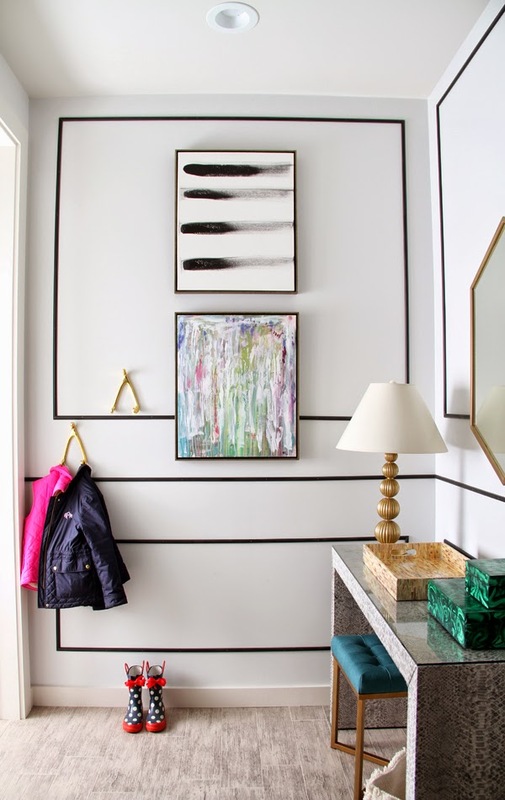 Tomorrow, a fabulous blog you will adore, withHeart, will start off tomorrow's home tours. Check her out! 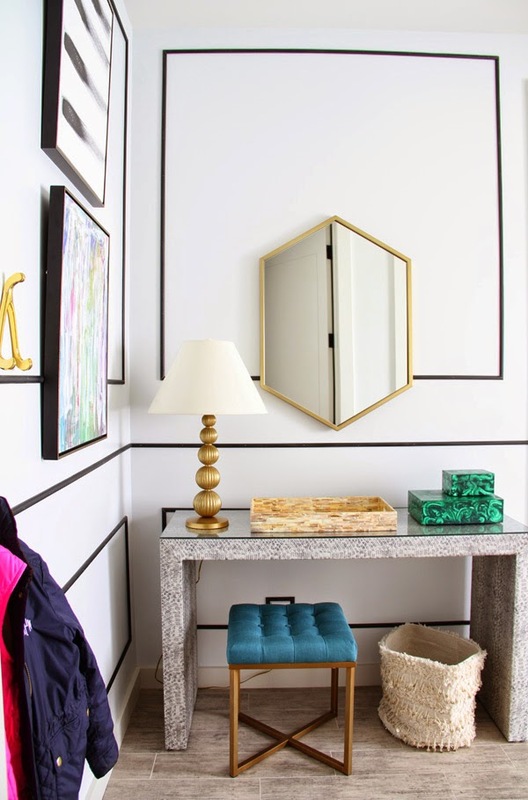 Thanks so much Lindsay for putting this inspirational blog home tour together and for having me join! You are most definitely one of the most stylish people I know and I love absorbing every single detail of your beautiful home and decor. So so pretty! Thank you Julia for your sweet words! I love your home too! Thank you Kristin! 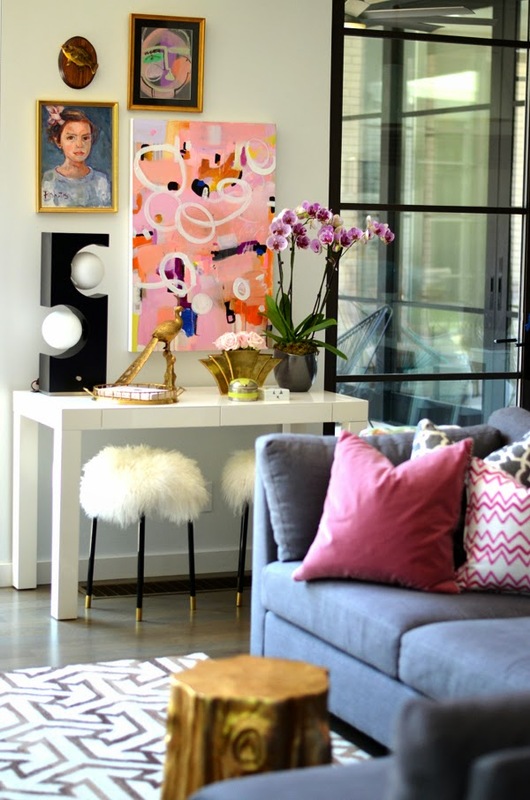 I also adore your home and just love your styling. Still swooning over that hand vase. I will need to ask for it for my birthday. Your home BLOWS ME AWAY. Seriously, I'm so honored to have you and am so inspired! I love every little detail so much. 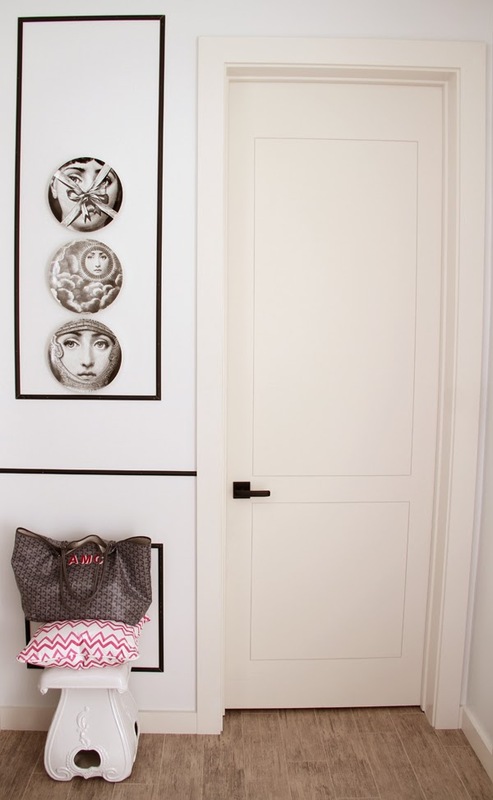 I'm planning a closet design now and yours is so inspiring to me! And I LOVE that library with the dark blue walls and built-ins. Our guest room is actually going to end up similarly! Thanks so much Lindsay! The library is actually a grey. It is the coziest place in our home. I can't wait to see your guest room! Just stunning!! 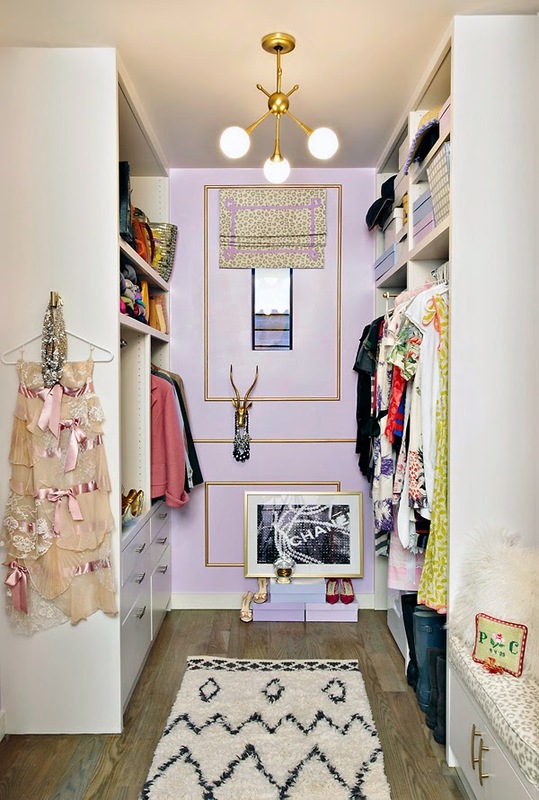 I cannot get over your beyond amazing closet!! Thank you Gabbi! I do love spending time there! It's a treat. Your home is gorgeous! I'm obsessed with your library -- such a beautiful space. 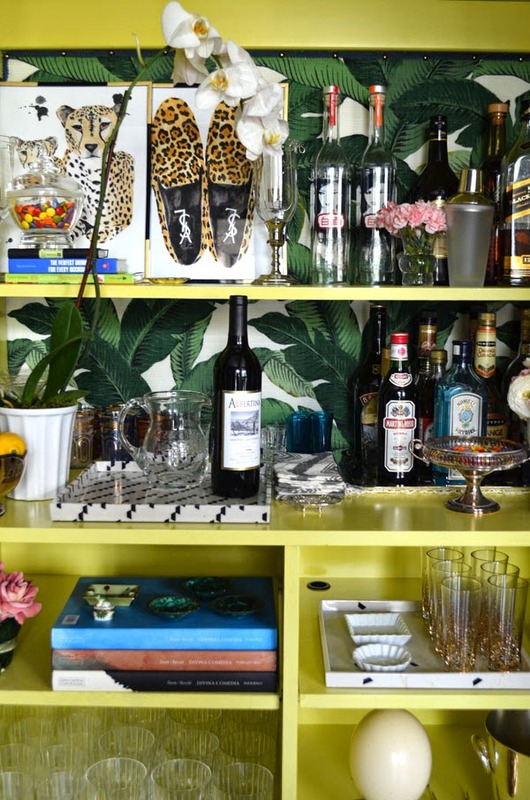 Everything in your home is just so covetable ( is there even such a word? there should be)! Perfect in every way! I just love your home! I need to see it in person! You are always invited! Let me know if you are ever in town! 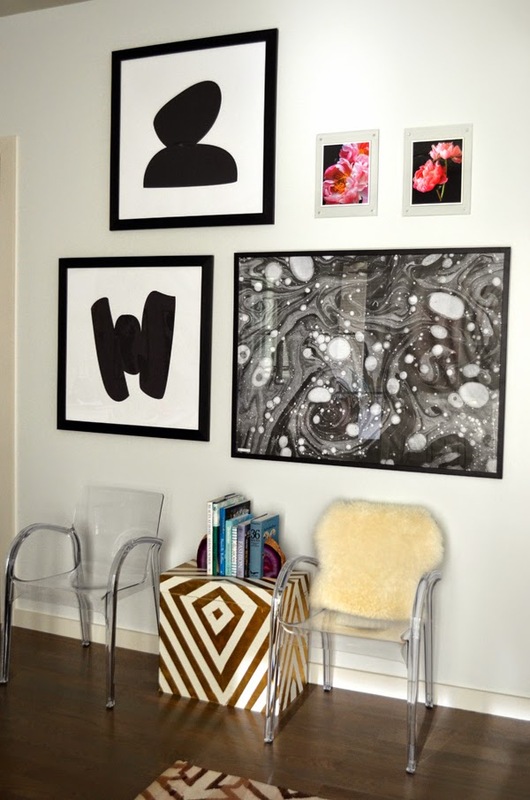 Albertina, I adore everything about your artfully designed home and your gorgeous works of art! wow- what a gorgeous home! i love the library so much- and that fabulous armoire! so many gorgeous and unique touches! Thank you Caitlin! I love art and have been collecting pieces here and there since I was young. I get such joy from it. Your home is amazing, Albertina! Just love every.single.room!! 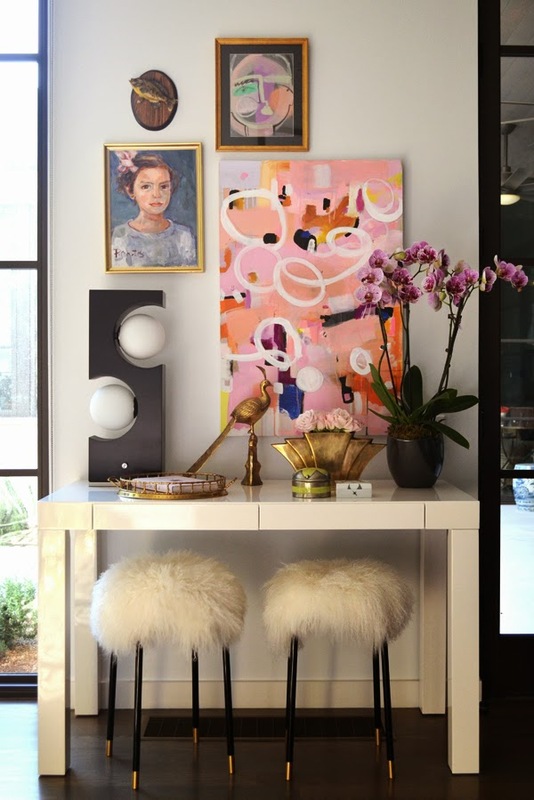 Adore the mongolian lamb stools in the family room and your study was going to be my favorite, and then came your closet…remember every detail from the ORC…stunning!! Thank you Kristy!! You are always so sweet! I hope we get to do another ORC :)!! I have been dying to get over here and snoop through your gorgeous house! You never disappoint! That library! Wow! And your home is so beautiful! I am crazy over your use of color!! Its stunning! Thanks Jenna! And this house is so much more tones down than our previous home! That was so colorful. Your home is so colorful and creative!! I love it. Wow, that closet! Your home is absolutely stunning! Oh my goodness!!! Your home is SO unique, I love every square inch! Beautiful tour!! Thanks Claire! And you know I adore your home!! Loving all the drama you created around the fireplace. The moody dark paint and book shelfies. Perfect! I can't even believe your closet! Absolutely stunning! Well, your entire home is and I love your use of color. so so pretty! Love your library! Thank you! It is the best place in the house! Especially in the fall! Oh my! I'm so excited to have discovered your blog! (I know - where have I been?!) Your home tour is incredible and I love it all! P.S. I'm in Dallas as well! Gah, your house is so amazing! How have I not seen your library before? I'd love to see more! Since I find you so interested in interior design, I would like to invite you to explore our rug world here: http://feltballrug.com/inspiration . All these are hand-made from natural wool created by women artisans in Kathmandu and they are available in 69 color options: http://feltballrug.com/meet-the-team/ (it is our new video about our social impact). What do you think about them?